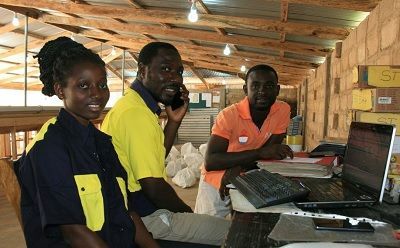 Dual-listed Cardinal Resources (ASX, TSX: CDV) is maintaining the momentum to drive its flagship 4.76 million ounce reserve within the Namdini gold project in Ghana forward as 2019 gets underway. 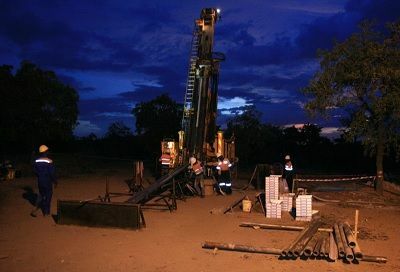 The gold explorer and development company has accelerated from the initial discovery at Namdini in 2015, to delivering a resource update, maiden reserve, preliminary economic assessment and preliminary feasibility study in the past 12 months alone. Along with strengthening its board with the appointment of ex-Barrick Dr Kenneth G Thomas and former Centamin Egypt director Trevor Schultz, and gaining a US$25 million investment from Sprott, CEO and managing director Archie Koimtsidis points out yet another recent achievement: promising regional exploration that could positively impact Namdini's economics. 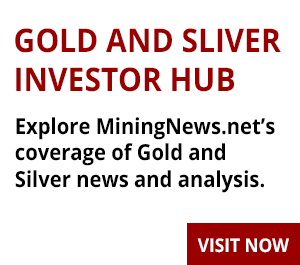 The company is now working to complete a definitive feasibility study by the third quarter with a view to making an investment decision before the end of 2019 - for a project in a previously unexpected corner of the mining-friendly jurisdiction. "Cardinal has made a very large gold discovery at Namdini in a district in northern Ghana initially thought not to have any gold," Koimtsidis explains. "The company is driving forward to complete its feasibility study as quickly as possible and is in the throes of further de-risking the project whilst building a team capable of moving the project into development. "Further, the company continues to explore its extensive tenure and has recently announced a new high-grade discovery some 24km north of the planned Namdini process facility." The mid-2018 discovery of Ndongo East is providing encouraging potential to add further high-grade ounces to Namdini's reserve of 4.76 million ounces. Recent high-grade gold intersections from Ndongo East include 3m at 29.3g/t gold from 45m, with mineralisation demonstrated over a strike length of about 1.2km. "The company expects to continue to generate positive news flow from its ongoing exploration drill campaign on the greenfield exploration assets and the feasibility study," Koimtsidis said. The feasibility study is fully funded and on track for delivery by September, focusing on the largest of three plant sizes contemplated in earlier studies, 9.5 million tonnes per annum as it provided the best return on equity. "Given that a 9.5Mtpa is the best economic size to start with, it was decided that a very profitable throughput with future expansion potential was a sound way to progress," Koimtsidis said. The key economic highlights of the PFS include a project payback of 1.8 years, after-tax IRR of 38%, annual gold production of circa 360,000ozpa for the first 3 years and a 294,000ozpa production for life of mine with an AISC of US$599/oz for first 3 years and $769/oz for the life of mine. It also used a $1,105/oz gold price to design the pit which converted 73% of the 6.5 million ounce indicated mineral resource into probable reserves. The development cost for the openpit mine, with a low strip ratio (1.4:1 life of mine), was reduced from $426 million in the PEA to $414 million in the PFS. Koimtsidis said the company was "investigating all modes of financing the project", including vanilla bank debt and other financing alternatives. "Given the state of the lending markets there is a very positive appetite to close deals," he said. "Of course, like all companies, we continue to investigate financing but keep a weather eye on working with other groups to develop the project and on corporate activity." At its own corporate level, Cardinal has been boosted by the addition of Thomas to the board, who brings 45 years' experience in the industry as an engineer building mines around the globe. "Ken Thomas worked with Peter Munk at Barrick in the early days when they were producing 150,000ozpa and left Barrick when they achieved annual gold production of 5Mozpa, so he has the wherewithal for the next phase of Cardinal's development story," Koimtsidis said. "Our chairman Kevin Tomlinson also has extensive experience at corporate financing and M&A over his career as does Michele Muscillo who is a M&A specialist lawyer." The company was further boosted this month with the appointment of Trevor Schultz, who was previously COO at Ashanti Goldfields and more recently a director with Centamin Egypt. Koimtsidis said Schultz was responsible for constructing a 12Mtpa processing plant, which has a similar flowsheet to Cardinal's proposed flowsheet, and his project development expertise would be of significant value to the company. Cardinal also has comprehensive in-country experience, with Koimtsidis being a resident in Ghana for more than 30 years and director Malik Easah being a Ghanaian citizen. With about A$30 million on hand near the start of 2019, Cardinal is funded to fast-track Namdini towards completion of the feasibility study and continue with its district exploration. 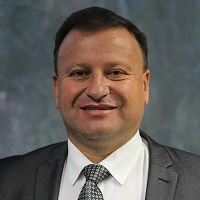 In terms of the feasibility study, Koimtsidis said most of the ground work had been completed, including geotechnical, hydrogeological and sterilisation drilling as well as some grade control drilling. "Further enhancements are being investigated including pit wall angles as part of the feasibility study," he said. As for exploration, Koimtsidis said Cardinal had completed comprehensive geophysics and auger soil sampling across its 900km² tenure in the district. "We are focussed on our district targets, as we can demonstrate that any additional ore delivered to Namdini above 1.5g/t, will have a materially positive effect on project economics," he said. "Our first few holes at Ndongo have hit high-grade shears which are only 24km north of Namdini. "We continue to explore our vast holdings but are being prudent to cast the net wide to ensure that we focus on the targets that have the best chance of early success." He believes it will be exploration success, the completion of the feasibility study and announcing project financing that will provide catalysts for a company re-rating. Cardinal has been a reporting issuer on the ASX since August 2011 and the Toronto Stock Exchange since July 2017. "Cardinal's EV is quite low relative to its peers," he said. "This shows that Cardinal is offering huge potential for its world class deposit which stands at 4.76Moz gold ore reserve, hence our focus is on de-risking Namdini and working on district targets and discovering further deposits in a seriously untested district." Koimtsidis will look to further pique investor interest at the Vancouver Resource Investment Conference in Canada this month, and Mining Indaba next month as the company shows no signs of slowing down. "In fact as we have done to date, we anticipate the pace of progress to continue moving forward rapidly as witnessed by how we approached our work for discovery, delineation and studies," Koimtsidis said. "Maintaining investor interest is not an easy task in a market that is focussed on alternative investment opportunities such as cryptocurrencies, Bitcoin, cannabis, battery minerals and so forth. "Nevertheless, we have seen in recent times that these other investment opportunities have been experiencing corrections and it is expected that attention will again move to the undervalued resources sector in 2019. "As for specific interest in Cardinal, we continue to experience a good level of interest in the story as it is a very large gold deposit that will definitely be a producing mine and we have an extensive land package to explore adjacent to the Namdini mine. "The company is continuing to deliver impressive study results with its Namdini project development and shows very encouraging district exploration opportunities. "Cardinal is well-positioned to deliver a large-scale gold producing mine with a long and sustainable life of mine and in the process realise strong returns for our shareholders," he concluded.